There’s A Contact Lens Stuck In My Eye – What Do I Do? So what do you do when a contact lens gets stuck in the back of your eye or under you eyelid? In this article I will tell you what you need to know about being ‘stuck’ in this situation. First of all, is a contact lens getting stuck behind your eye something that can even happen? The answer is yes, but only to a certain extent. The most important thing you need to know when you’re in a situation like this, is that the contact lenses cannot get lost somewhere behind your eye. The contact lens will never move beyond a certain distance, and it certainly can’t travel into the depths of your head or your brain. The space for the contact lens to move into is limited by something called the ‘fornix’. 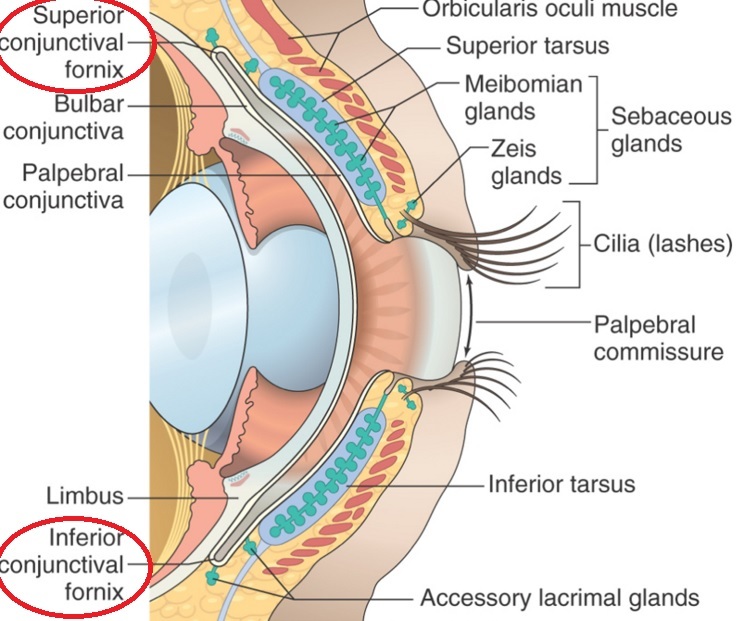 The fornix is basically a wall that closes off the area under your eyelid (and over your eye) and stops anything under your eyelids from traveling beyond a certain point. 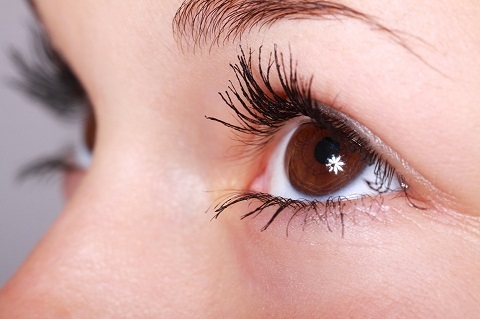 Typically, when a contact lens ventures out under your eyelids, it is usually up under the top eyelid. Rarely will a contact lens move down under the bottom eyelid and get lost, because there is just less space there, and the bottom eyelid is easier to pull down to have a look at what’s going on underneath it. 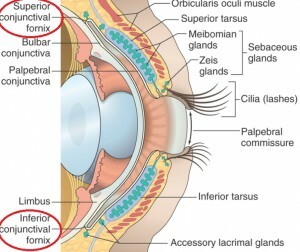 Nevertheless, there is a fornix under both the top and bottom eyelids to prevent anything to from going too far. Even though there is very limited space for the contact lens to go into, it is still possible for it move so far up under the upper eyelid that you can no longer see it. This is the point at which many people will begin to panic. This first step however, is not to panic. You will be alright. You are not in danger. Nothing serious is going to happen to you eye, your vision, or your brain. In the majority of cases, if you just give it a few minutes, the contact will gradually make it’s way back down. It will either completely re-position itself on the front of your eye, or at the very least, enough of it will be visible for you to grab and pull out. When you blink, your top eye lid moves down. 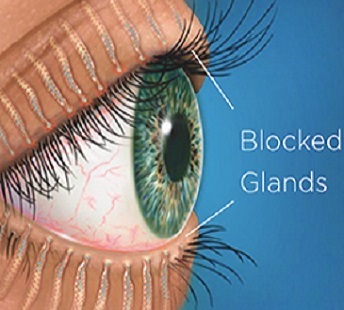 This can encourage the contact lens that’s underneath it to move down along with it. Contact lenses are made to match the shape of your cornea (the clear center part of the eye on which the contacts usually rest). When the contact lens is on the cornea, it tends to stay on. By rolling your eyes up, you are bringing your cornea closer to the errand contact lens, and your cornea might just be able to ‘scoop’ it up and bring it back down. While your eyes are pointing up, move them from side to side to try to get your cornea to ‘catch’ the contact lens. Often times, when people realize that their contact lens isn’t where it’s suppose to be, the automatic assumption is that it got stuck under the eye. If you think your contact lens went up into your while you were putting your contact lenses on, look around the area to make sure that it didn’t just fall somewhere. Check the sink, the counter top, the mirror, your clothes and the ground. You might just find it hanging around somewhere when you thought it was up under your eyelid. If you’re positive that there is a contact lens stuck underneath your eyelid, and you’ve waited longer than you can stand, then it’s time to get help. 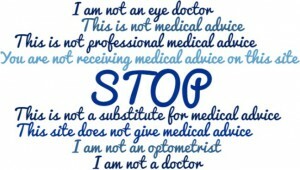 Visit your eye doctor and he or she will be able to get it out for you. Having a contact lens get stuck under the eyelid for a short period of time once in a while is not a big deal. It can happen to anyone wearing contact lenses, and it is not a sign of problems with your contacts. However, if this is happening to you very frequently, it is usually a sign that your contact lenses are not fitting properly. 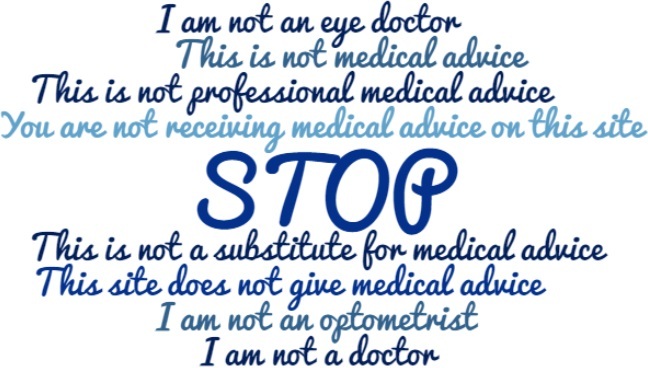 At that point, it’s best to see your optometrist to be changed into a better fitting brand. There are several conditions related to the misuse of contact lenses that can mimic certain sensations and trick us into thinking something is happening when in reality, there’s something else going on. When contact lenses are over-worn, or they just don’t fit the eyes well, it can result in conditions that will create the sensation that there is something stuck under their eyelid. It is then very common for people to associate that with a contact lens being stuck there. Or, more specifically, they might think that a piece of the contact lens broke off and is now stuck under the eyelid. If this is in fact what is happening to you, it’s best to see you eye doctor so that he/she can diagnose the problem with your contact lenses and fit you with a better brand. Unfortunately, sometimes you may be asked to stop wearing contact lenses for a short period of time while you eyes recover from the negative effects of your old brand. If you have any, please share your experience with ‘losing’ a contact lens in your eyes in the comments section below. I hope these tips have been helpful. Thank you for reading!